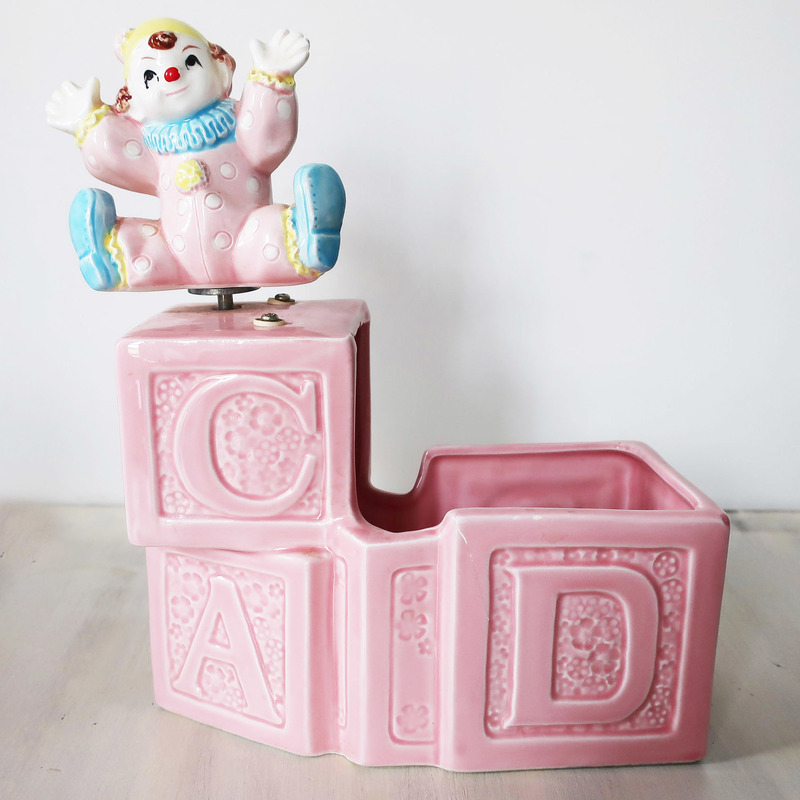 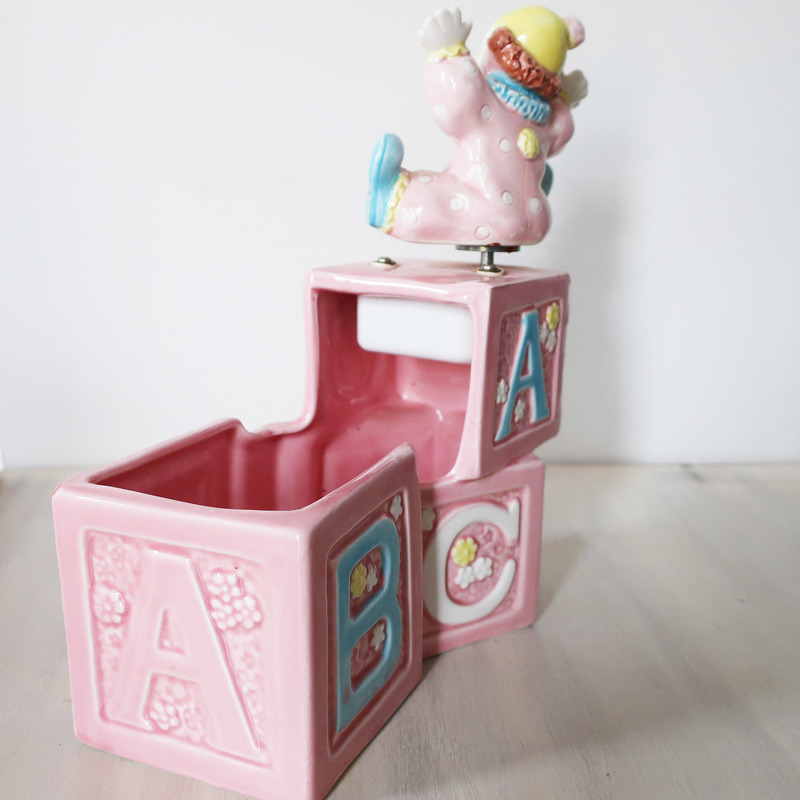 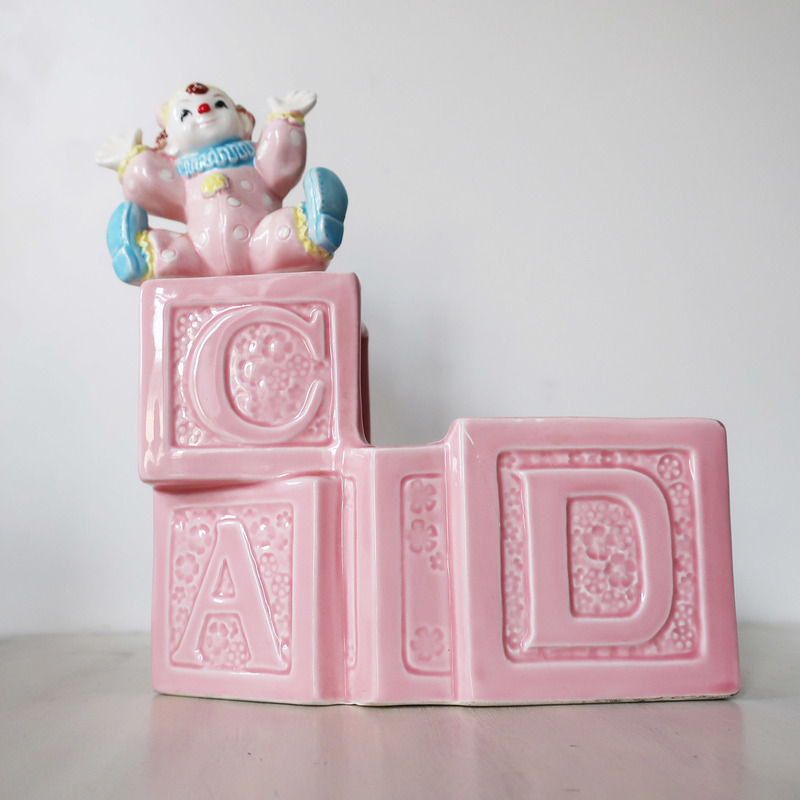 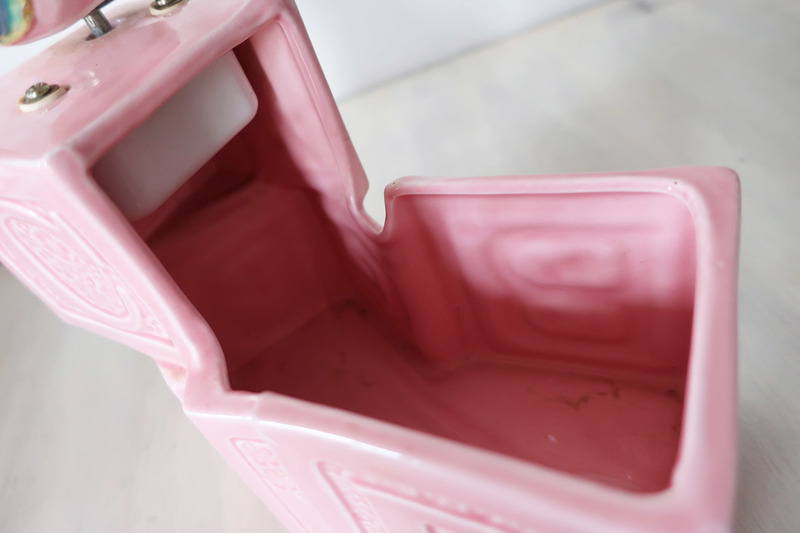 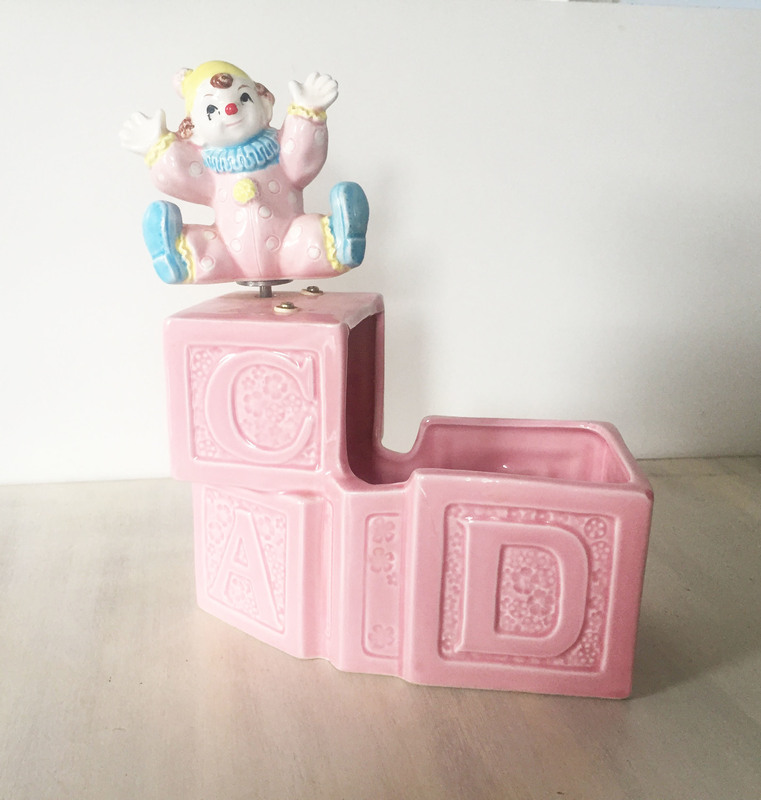 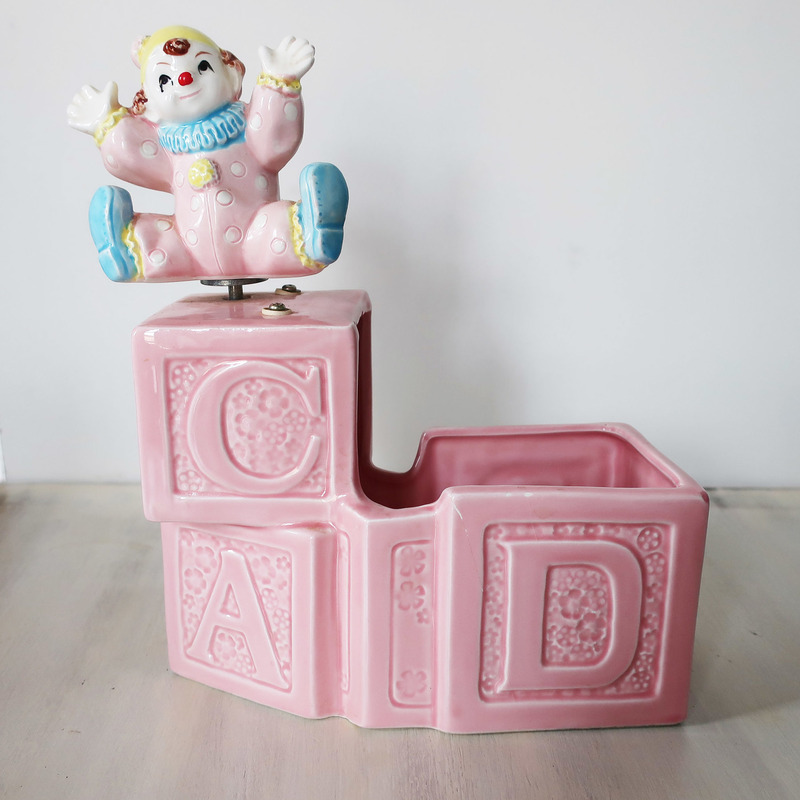 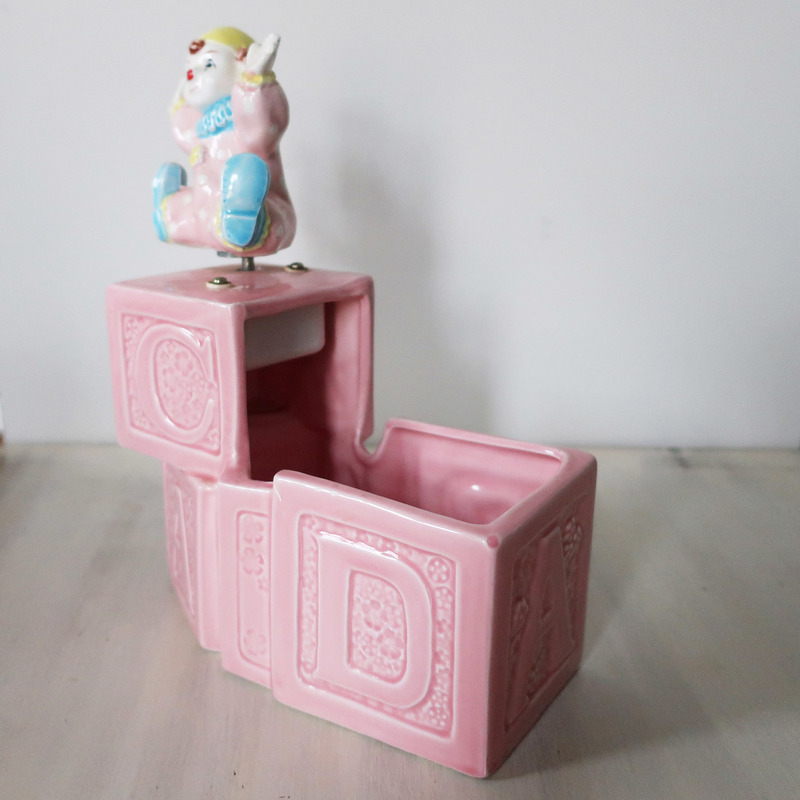 A vintage cute pink ceramic planter, made in Japan. 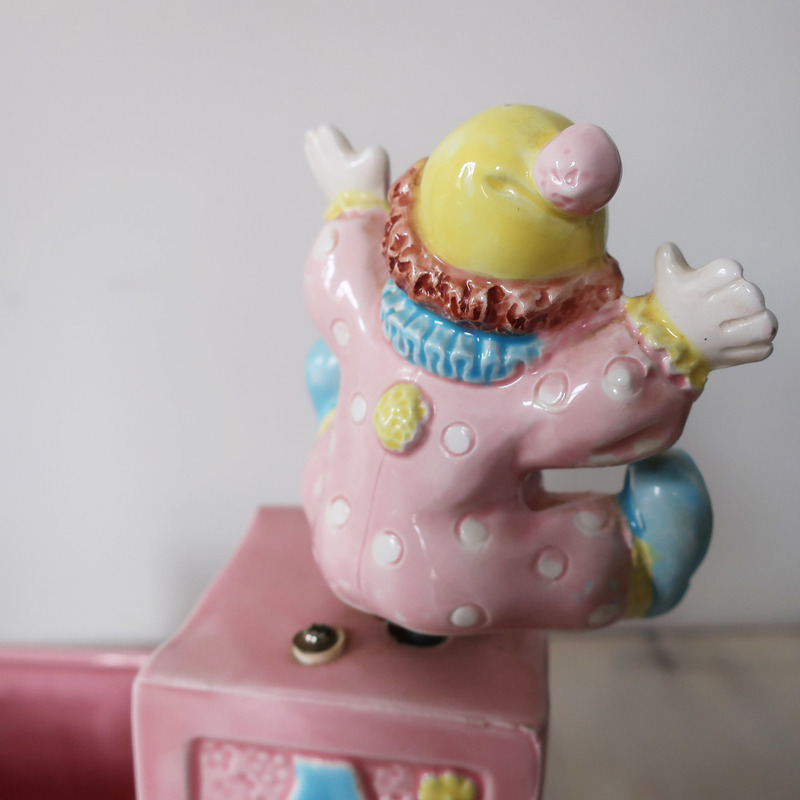 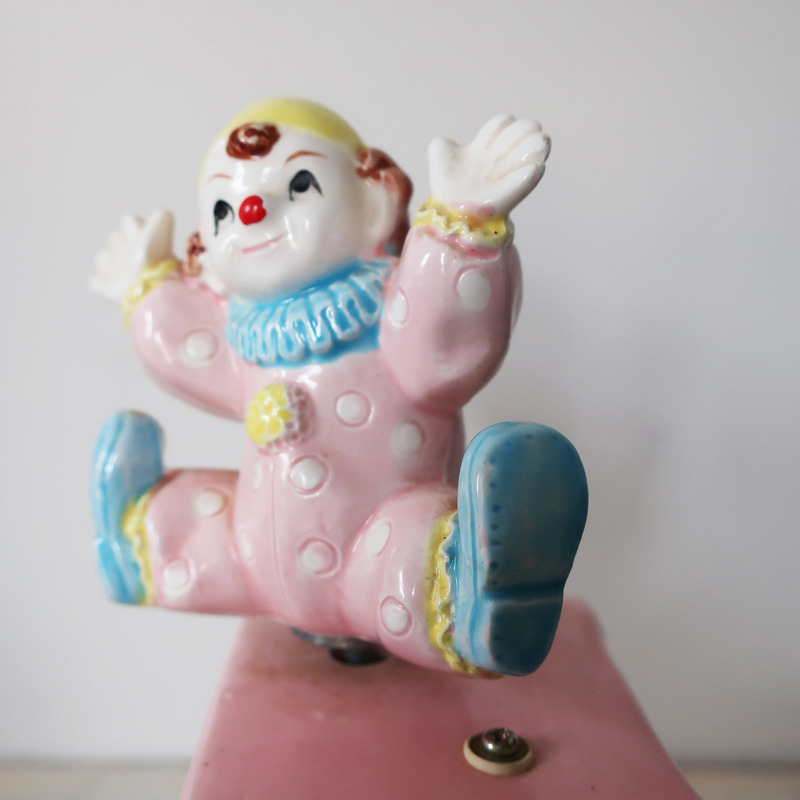 If you twist the clown the planter plays the tune "Bring on the clowns". 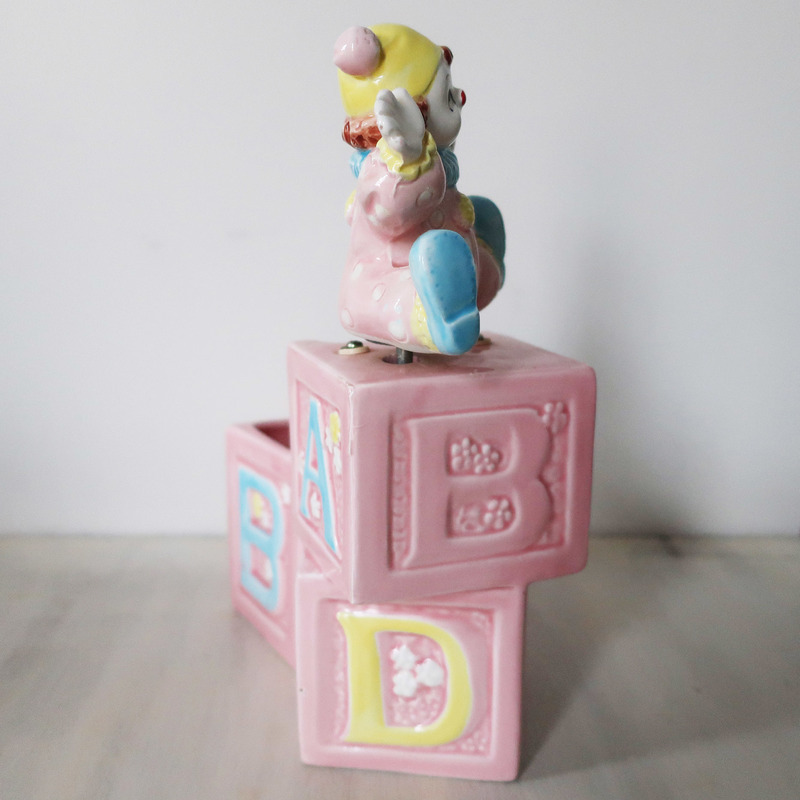 The planter is in great condition except for a little stress fracture on the back of the planter on the D block which can be seen on the pics. 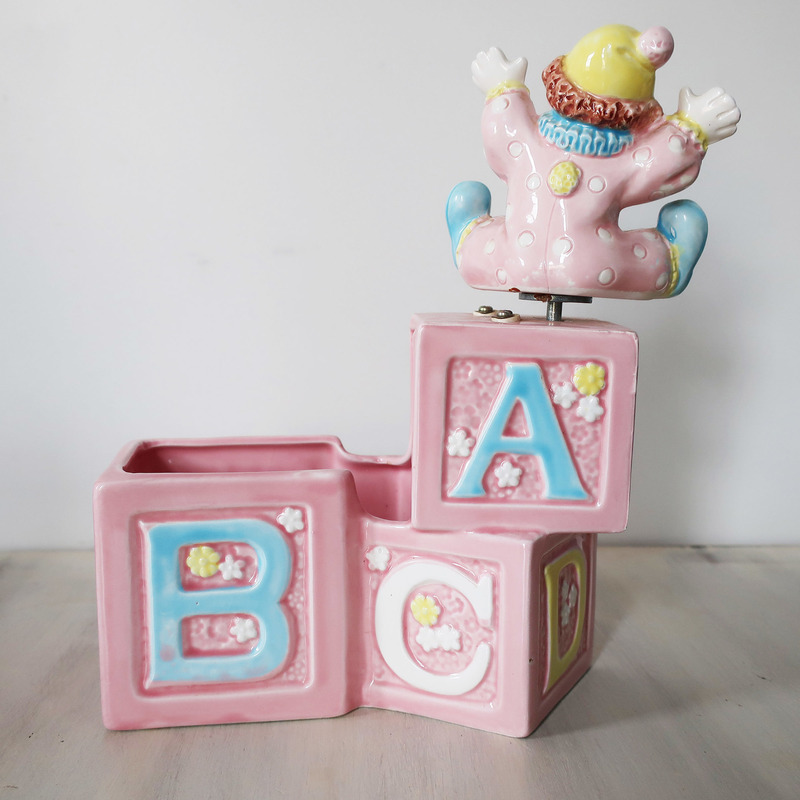 It is at the back of the planter, so can't be seen when displayed but please enlarge the pictures to have a proper look. 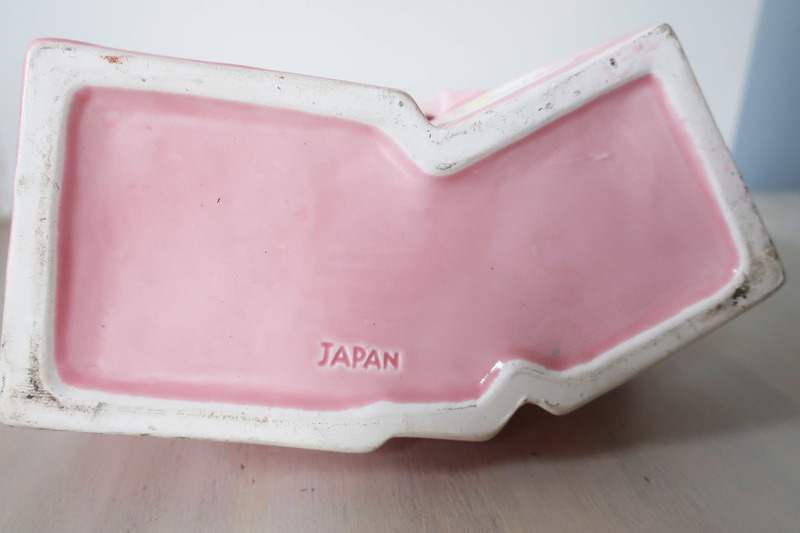 The planter is marked "Japan" on the bottom and measures approximately 9" high, 8" wide and 3.5" deep.